That's nice to hear. I actually came across a FB group for the Primeweld, and the creator posted an email about more coming in. The Primeweld 225x is back in stock as of this morning. I was told by the owner that they go on sale on the primeweld website before amazon gets any. Good luck with it Joe! Let us know how you like it when you get it running. Its a damn shame that I'm a newb and certainly not qualified to report if its doing everything that it should. My goal was to get a dedicated ac/dc Tig to learn on and pedal the miller 215 that only does lift arc DC Tig and just buy a less costly mig. But it was still funny. George is a good guy, so I would like to hear more about it and his experience with it. Im on the back side of the joke. 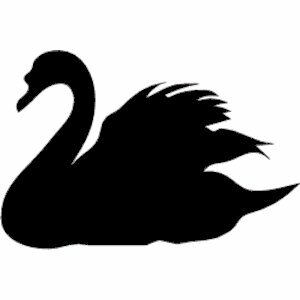 Whats the deal with the black swan. Or is that a taboo subject ? Lets not go there, its a long story. If you need any advice or have any problem with your 225 let me know. Theres already a huge problem with the 225x and its not here yet. I can't help hearing Butthead saying "shut up Bevis"
Kidding aside don't sweat it, you are determined to learn and that will get you there! Side note; what ever happened to those two little dysfunctional characters....did they start any more fires? what ever happened to those two little dysfunctional characters....did they start any more fires? I did some bata testing on this unit and posted it on here but it must have gotten lost when the site crashed. Anyway they are in and are for sale on Amazon here is the link. I know this is an older thread, but it's relevant as I'm searching for a new welder. This one intrigues me and it seems like there's great support. Not a fan of the foot pedal tho. Would a SSC or Nova pedal work on this unit? I hear this all the time about the foot pedal, but I have been using that type foot pedal for 6 years and it has never failed. If you want a different foot pedal that would be up to you to spend the extra money. An SSC or Nova pedal is really not an upgrade its just a different type of pedal. I've got one of these units for doing occasional AC and frequent DC. Mine died the second time I used it, but their guy Mike was on top of it. Called me up on a Sunday evening to check in, which I think is awesome. The replacement is running good. I might replace the foot pedal, but that's my only gripe. I like that people are still making stuff with KNOBS. You can't crank it up to 11 if there's nothing to crank on. Just received word that Primeweld will be getting the TIG225X back in stock tomorrow (April 14th) at 9am Standard Time. You bet I'll be online at 8:59 to get mine! 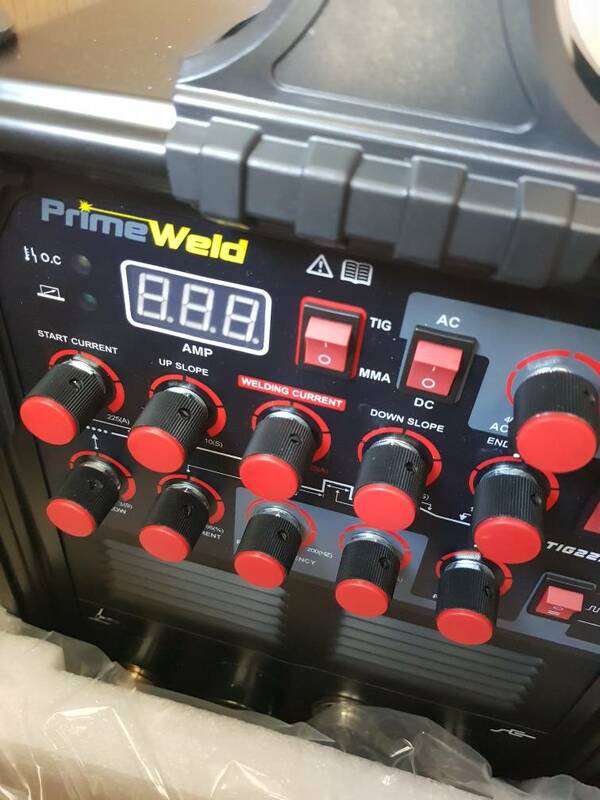 The Primeweld TIG 225X is now back on their site. I just ordered one and will let you know how it goes. If you need any help with settings or info please let me know. Last edited by mechanic416; 04-14-2019 at 09:53 AM. Great! I appreciate that! You, Mike and Dustin are the reason I went with Primeweld over the Green or Yellow options! People buy from PEOPLE! That old adage has been lost on too many big companies these days and it is refreshing to be able to actually reach out to a "person" as opposed to an anonymous "help desk"! 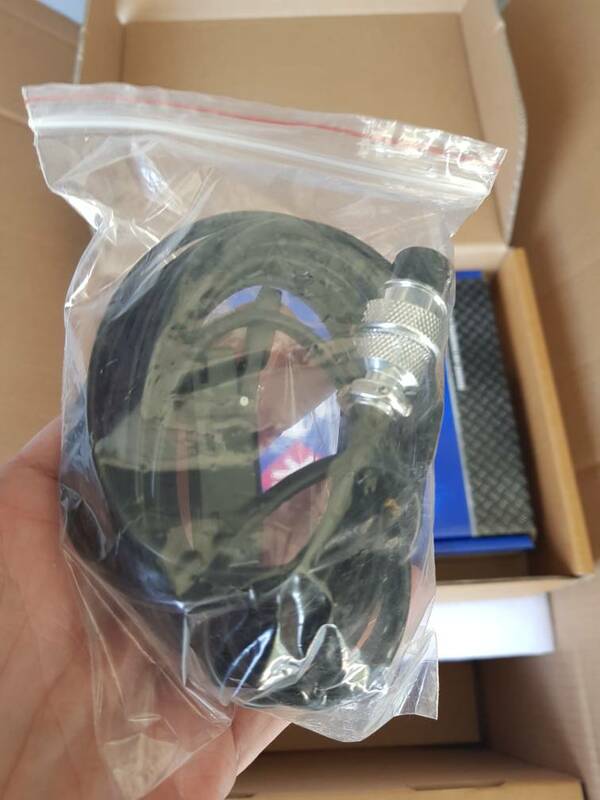 part number on it as the SSC indicating that it may be an SSC and rebranded for HF. Last edited by bevis28; 04-14-2019 at 12:12 PM. Well, i went to harbor freight today to look at that vulcan pedal. Im thinking that its not an SSC made pedal. I think the geometry is weird and it feels like crap. Even worse than the pedal that came with the Primeweld. It seems loose and jerky through the movement like its just not smooth at all. I'll pass on it and get an SSC or the Nova knockoff. 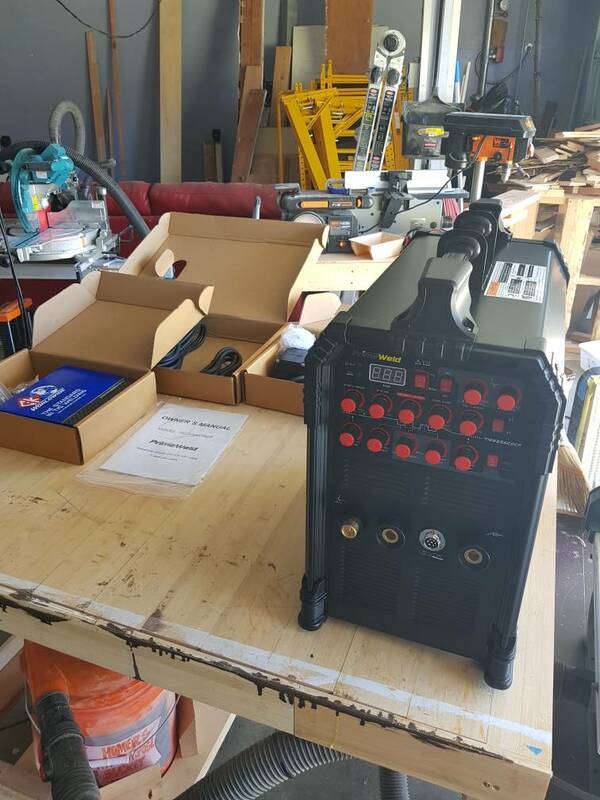 Last week i called and spoke with Mike at Primeweld and then phoned George, both where extremely helpful and removed any remaining hesitations i had. 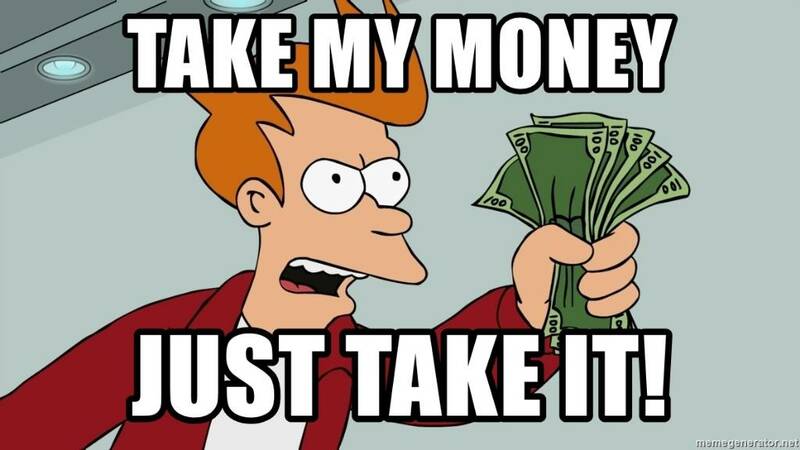 I ordered the Primeweld "TIG225ACDCP" yesterday. Here's a fillet I ran with mine on some 1/8 aluminum. Just received mine today! I guess they come with a finger switch for the TIG now as well as the pedal! Now I just need to clean all the crap out of my shop before I can plug it in! Yes it comes with a trigger switch as well as a pedal. You will need the trigger to use the 4t function or the 2t for tacking or were you can't get at the foot pedal. I checked out the Harbor Freight pedal as well. Being that I had a HF store credit to burn I figured that I would give it a go. With the %20 off any Vulcan accessory and additional $5.00 off coupons I picked it up for $51.00. Another reason for my HF purchase was pedal compatibility. The pedal that ships with the PrimeWeld has a resistance of 10K (Ohms) and the HF Vulcan is a 10K pedal as well so there is no potentiometer swapping involved with the conversion. I had a spare compatible 7 Pin connector so after a bit of wire tracing and soldering I was good to go . (I have the pin-outs if anyone would like them). Anyway the HF pedal is working out just fine for me. Now I am not claiming that HF is the worlds finest TIG pedal but it's pretty damn good one for $51.00. Last edited by Cyberrocker; Today at 12:00 AM.